This cozy zip-hoodie sweater made of 100% organic cotton indark blue, comes with kangaroo pockets and ready to keep you warm during the coldest days. 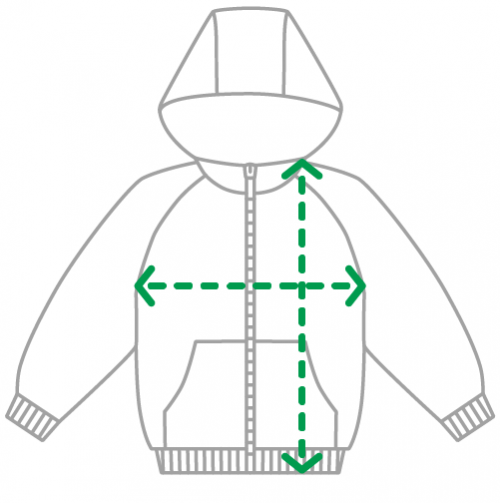 The green inner side of the hood makes your jacket an absolute eye-catcher. The dimensions of size 98 are more like size 92. The dimensions of size 86 correspond more to size 80.